Airwolf was a 60 minute action series on CBS for its first three seasons and on the USA Network for its final season. It was about a maverick pilot who made a deal with a covert U.S. agency called, "The Firm". If they would help him find his brother who was missing in Vietnam, he would operate their high-tech helicopter on dangerous missions for them. The helicopter used on Airwolf was a modified "Bell 222". Many changes were made including the addition of a second door. The Airwolf chopper had a sad ending! It was sold to a German company who used it as an air ambulance. On June 9, 1992 it crashed in a thunderstorm and all 3 crew members were killed! Ernest Borgnine has had one amazing career as an actor! Starting in films in the 1950s, he has appeared in more than 100 movies and counting! He starred in several TV series including, "McHale's Navy (1962)", "Airwolf (1984), and "The Single Guy (1995). His one-half century career has also included many TV commercials and voiceovers for animated films. It may be macho for an actor to do their own stunts, but that's often bad judgement. While filming episode #28, "Natural Born", Jan-Michael Vincent's stunt double was killed in a helicopter accident! There can be little doubt, however, that Airwolf was a stunt-oriented show! In 1986, the series won 3 Stuntman Awards! They were in the categories: "Best Fight Sequence", "Best Stunt Coordinator", and "Most Spectacular Sequence". The Airwolf TV show also won an Emmy in 1986 for "Outstanding Achievement in Makeup for a Series". That was for episode #34, "The Horn of Plenty". Airwolf beat out both "Amazing Stories" and "Dynasty" in order to win that award. 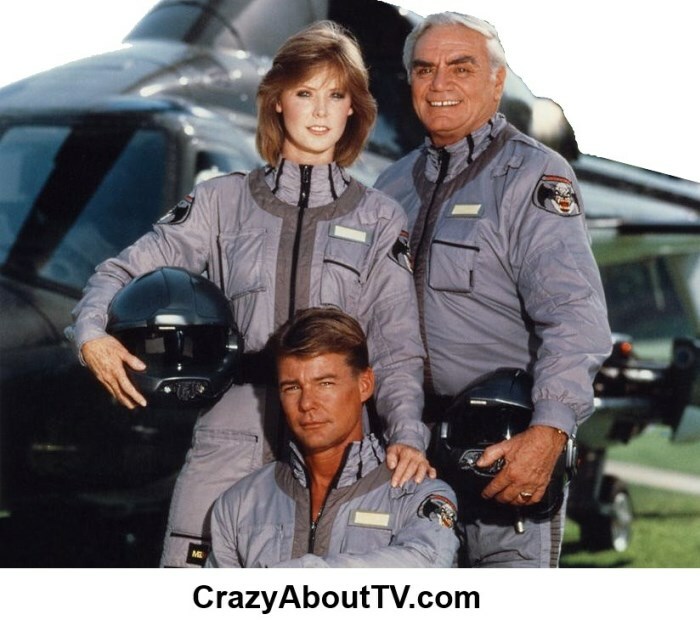 Thank you for visiting our Airwolf TV Show page!